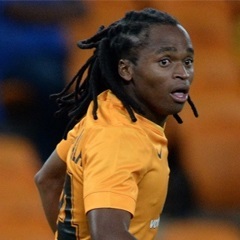 Cape Town - Kaizer Chiefs are sweating on the fitness of midfielder Siphiwe Tshabalala ahead of the CAF Champions League clash with Raja Casablanca. Amakhosi travel to Morocco looking to overturn a 1-0 deficit from the first-leg tie, with a place in the second and final round of qualifiers up for grabs. Midfielder Ovidy Karuru definitely won't feature after being ruled out with a hamstring injury, while some doubts remain over the fitness of Tshabalala. An injury update posted on Chiefs' official website read: "Ovidy has a slight hamstring problem. "All the players are ready. 'Shabba' will undergo a late fitness test after the training sessions in Morocco."